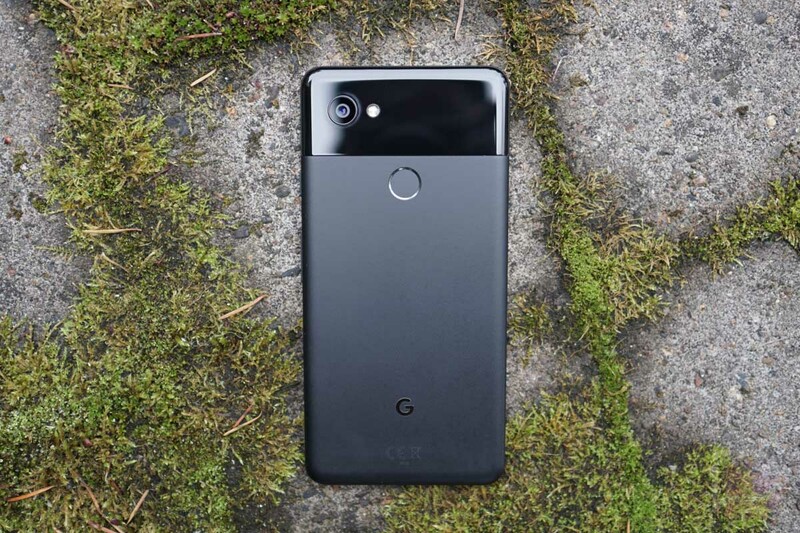 Google’s Pixel 2 and Pixel 2 XL are not only a chance for Google to showcase their vision for phone hardware (without being rushed like last year), the phones also stand as an opportunity for Google to show the world what they think Android should look and act like. And if we’re being honest, we really should start calling the software on Google’s Pixel phones a skin or Pixel Experience, since this is no longer “stock” or pure Android. That’s not a complaint, I’m just pointing out the reality of the situation. With Google’s own custom Android experience on the Pixel phones comes software tweaks you might not normally see or be aware of. For example, there are dark and light themes to the Pixel 2 that you wouldn’t know about unless you happened to stumble on them through a wallpaper switch. We’ve also got subtle tweaks to Settings areas, a hidden notification LED, different icon shapes to take advantage of, a yet-to-be-turned-on Image Processing Unit, and more, all of which isn’t announcing itself to the world, you just have to know it’s there. Below, we’ve compiled a list of 8 things you might not know about Google’s new Pixel 2 and Pixel 2 XL. We covered this in our First 10 Things video, but there are both dark and light themes on the Pixel 2 and 2 XL. The thing is, you can’t enable them manually, you instead have to make the switch by changing your home screen’s wallpaper. If you go with a lighter image, you’ll get the light UI. If you go really dark, the UI flips to give you a dark app drawer, dark pulldown shade, and even dark app shortcut menus. To make this switch happen, again, just long-press on your home screen and change your wallpaper. 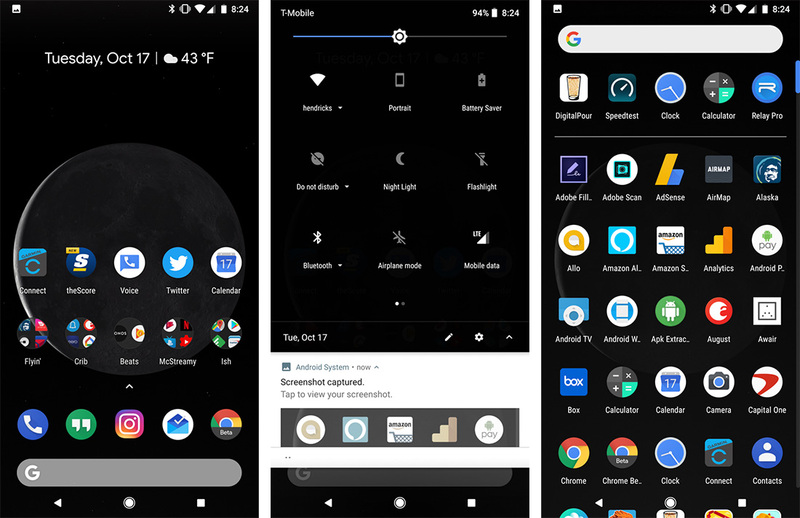 From what I can tell, the change isn’t limited to just Google’s wallpapers and you can toss on your own darker photo to bring up the darker theme. This is a minor tweak to the Settings UI, but think about how many times you have realized you need to force stop an app, uninstall it or clear data/cache, yet hate the process of diving into Settings>Apps & notifications before having to scroll through an entire list of apps to pinpoint the one you want to tweak. With the newest UI on the Pixel 2, you’ll get a list of the 5 most recently opened apps that you can quickly jump into to adjust things. And it makes perfect sense that Google would do this, since the app you had most recently opened are more than likely the ones you’ll want to dive into. 3. There is an LED for notifications! There really is! It’s been a bit finicky, but there is an LED notification light on both the Pixel 2 and Pixel 2 XL. You can see in the image below, and yes, it’s most definitely multi-colored. To enable it, you’ll simply long press on your home screen, go into Home Settings>Notification Dots and then look for the “Blink light” toggle. Turn that on and your notification LED should start shining through as notifications do. If you are using a third party launcher, you can also go into Settings and search for “Blink light” to find it. So far, again, the times it does light up correctly have been pretty hit or miss, so there is some tweaking or poking around that needs to be done here. Still, it has one! 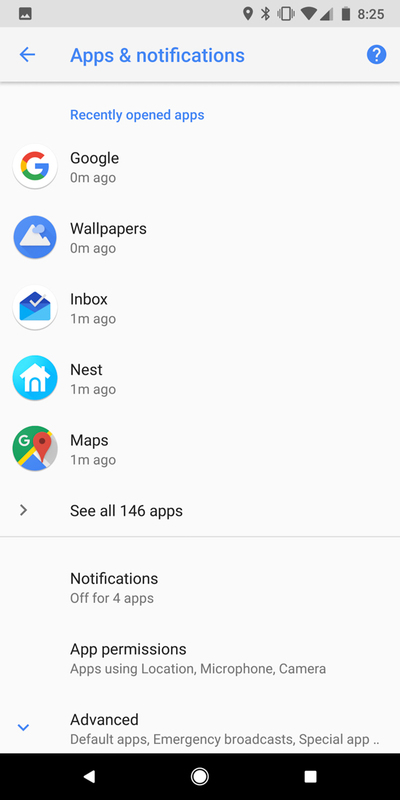 You may have already noticed this after side-loading the new Pixel Launcher from the Pixel 2, but the Clock app shows the exact time now and constantly updates. It’s like a live little icon, which is cool just because. 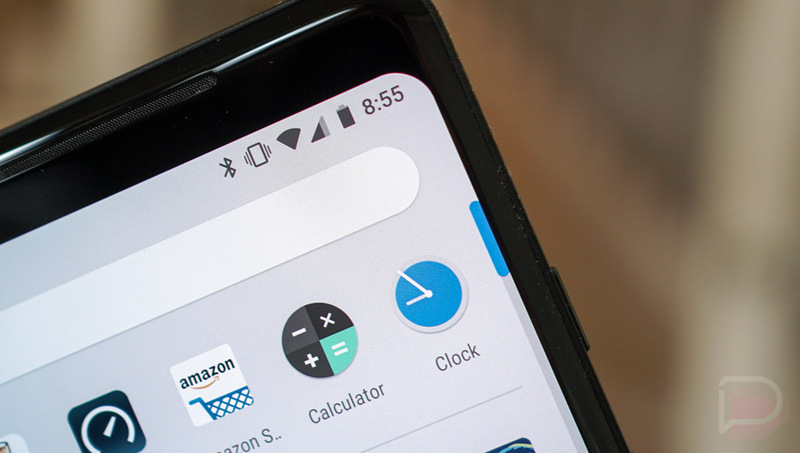 Why would you care that the little clock icon shows the proper time when you can look up to the top right corner of your phone to see it digitally? I don’t know! Just roll with me here and enjoy the small things in life, enjoy the attention to detail by Google. The big story with Active Edge in the Pixel 2 and 2 XL is the fact that it is probably the best way to launch Google Assistant at any time, assuming you can’t stand Google’s obnoxious “OK, Google!” command or are in a quiet area. But it doesn’t just do that! No sir, it also acts as a way to silence incoming calls. If you head into Settings>System>Languages, input & gestures>Advanced, you’ll find Active Edge settings. In there, you can adjust the squeeze sensitivity of Active Edge, but you’ll also find a toggle for “Squeeze for silence,” which is the feature I’m talking about. So as you receive calls and your phone is lying on a desk, instead of fussing with volume buttons to silence or hangup on someone, you can reach over and give your phone a little pinch to make it shut up, at the very least. 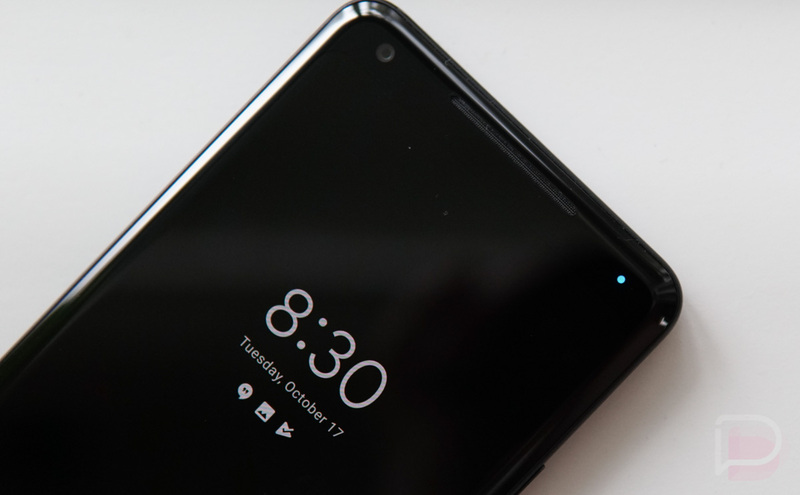 We already shared an entire story on this news, but it’s worth mentioning again – Google created its first in-house SoC for the Pixel 2 and Pixel 2 XL and none of us knew it. 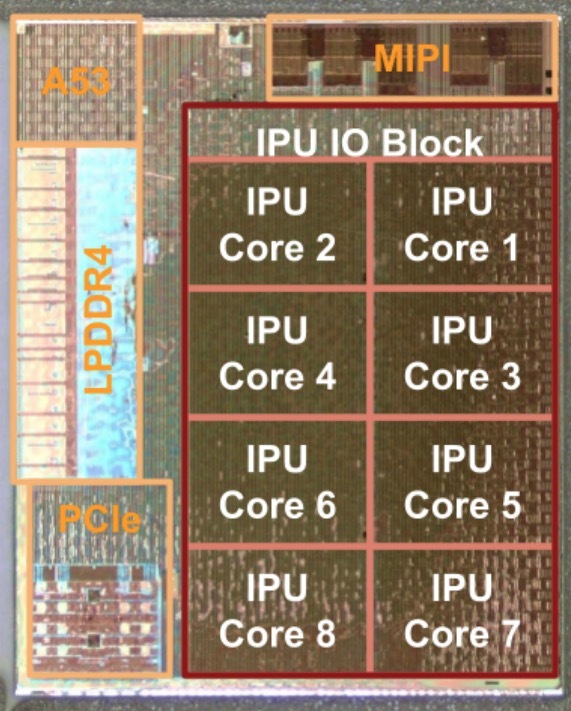 The chip is called the Pixel Visual Core and its an image processing unit that’ll give 3rd party camera apps the ability to tap into Google’s awesome HDR+ feature. Not only that, but it’ll make processing of HDR+ insanely faster when compared to the phone’s using the Snapdragon 835 on board. Outside of the HDR+ access for developers, Google also says that they have a whole bunch of stuff lined up that’ll be able to take advantage as well. That means more camera goodies coming to an already incredibly powerful camera experience on the Pixel 2. One of the coolest features on the Pixel 2 that also happens to be the creepiest, is a song recognizing feature called Now Playing. 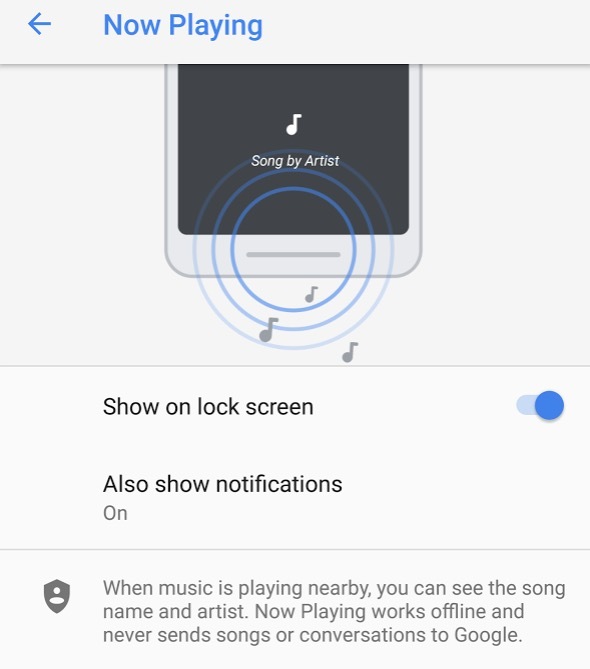 It’s disabled out of the box, but should you turn it in, Now Playing allows Google to listen for music at all times and let you know what the song is on your phone’s always-on display. It’s pretty awesome when it finds the song and just shows up at the bottom of your screen. If that sounds too creepy to you to use, understand that Google is telling us that Now Playing “works offline and never sends songs or conversations to Google.” So it’s accessing some sort of database of songs internally that we believe hosts more than 17,000 songs. In my testing, the Pixel 2 hasn’t had any issue pulling up music that I’m playing, though your results may differ depending on the tunes you jam out to. 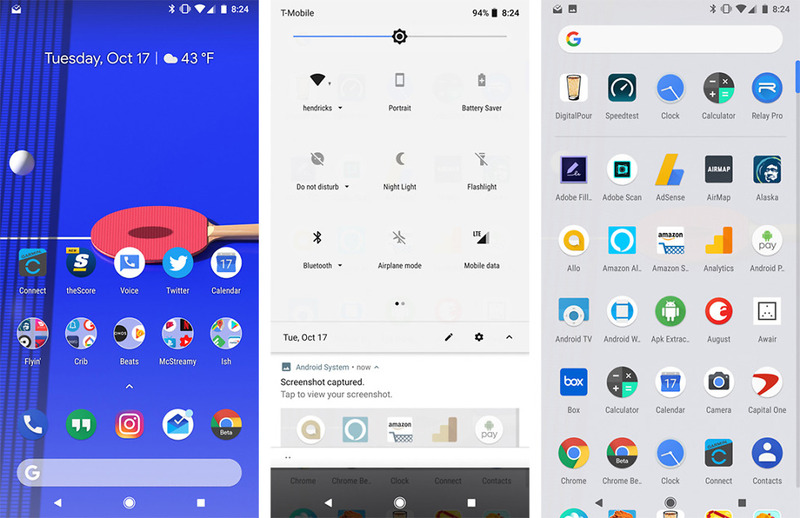 This is really just an Oreo feature, but you shouldn’t forget that if round app icons aren’t your thing, Google has built in a handful of choices, including square, rounded square, squircle, and teardrop. To access this, jump into home screen settings by long-pressing on your home screen, then Home Settings>Change icon shape. From there, choose from the short list and watch as your screen refreshes with the new setup. And that’s it for now! As we discover more interesting tidbits about these new Google phones, we’ll be sure to share.